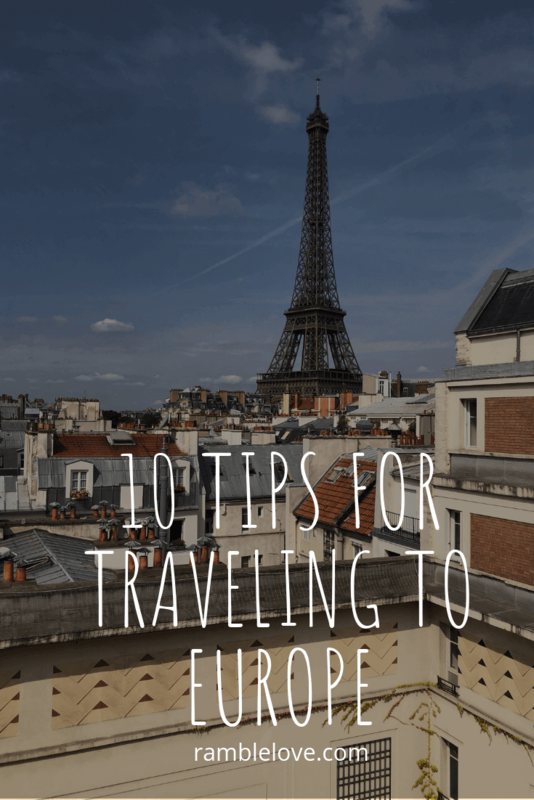 10 Tips for Traveling to Europe - ramblelove. Traveling to Europe can be intimidating but it really doesn’t have to be. As with any adventure, things will go more smoothly if you properly plan. There are tons of checklists for traveling to Europe, but we wanted to share 10 helpful things we’ve learned along the way that may not be on the typical checklist. These tips will help you avoid frustrating and embarrassing situations and allow you to make the most of your European vacation. 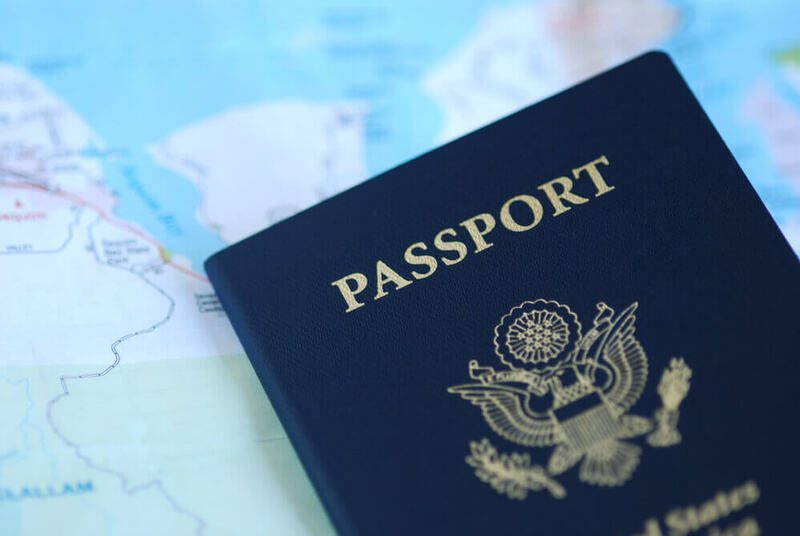 It goes without saying that you should keep your passport with you as you travel. You just never know when you’re going to need it. But what do you do if you happen to lose it somewhere along the way? Having photos of your ID on your phone will make things much easier in the event you do lose it. I’m sure you’ll still have to deal with a lot of issues but this will at least streamline the process of getting things sorted out. Make sure the photos are completely clear and high-quality. Chances are your phone isn’t going to work in Europe the same way it does in the states. Luckily, most providers offer some sort of international pass for an additional fee. I use Verizon and they have a daily pass which is only activated if you use your phone within a 24 hour period. It would be wonderful if you could do and see everything you have on your itinerary (assuming you have one), but it’s probably not going to happen that way. Weather, long lines of tourists, construction, and (heaven help you) getting lost can all force you to skip things on your trip. That’s totally fine, especially if you have a plan B. On a recent trip to Paris, we had intended to take a boat trip down the Seine one evening. We missed the mark and couldn’t find the place in time, so we went with our plan B instead. Walking along the river and browsing through the vendors was just as much fun! It’s tough to want to limit your spending when you’re in Europe. Believe me, I know. But you’ll be happy you set a budget when it’s all said and done. Consider things like daily food allowances, souvenirs, transportation costs, entrance fees, and lodging. You’ll never hit your budget exactly, but it’s important to have a framework in place that will help guide your trip. Plug all of this into a simple spreadsheet and get to work. Doing so well in advance of your trip will give you plenty of time to adjust and modify the budget before you actually take off. You could easily rack up hundreds of dollars in ATM fees and exchange rates if you’re not using a good debit/credit card. We typically withdraw cash to use every few days when we travel in Europe so we need a debit card that does not have international fees. We chose the Charles Schwab Investor Checking account because ATM withdrawals are free everywhere and there is no international fee for using the debit card for purchases. Public transportation will likely be your best friend when you travel to Europe. Trains and buses can essentially get you everywhere. But, there is still going to be a TON of walking on many days. Plan ahead by breaking in a pair of comfy shoes that can handle dust, cobblestone, rain, etc. You’ll likely experience all of that, especially if you are traveling to multiple countries. I recently purchased Xero shoes for the first time and wore them on our latest trip to France, Switzerland, and Germany. They are a barefoot shoe and hold up really well to heavy walking. I averaged around 20,000 steps a day in these and never ended the day with sore feet. Although you’ll probably never learn everything there is to know about local customs, it’s super helpful to read up on things like tipping, greetings, and protocol for public transportation. Having a handle on certain things like this will help prevent some of the annoying tourist situations that are bound to happen. Some…you’re still going to do something stupid at some point and that’s ok! Nobody’s perfect. Every time we plan a trip to Europe I have high hopes of mastering the language in each country I travel to. So far, that hasn’t come close to happening. I have gotten better about learning some VERY basic words and phrases, and I’m a believer now that that’s enough. I don’t think any native thinks tourists should speak and understand the language perfectly. They really just want you to give it your best during salutations, while shopping, and maybe while ordering a meal. Beyond that, all you can do is be patient and polite while you try to communicate. Packing small for your trip to Europe has a couple major advantages. First, most places you’re staying (especially in larger cities) are going to be several floors up and elevators are a rarity. The last thing you want to be doing is lugging an 80-pound suitcase up 10 flights of stairs. 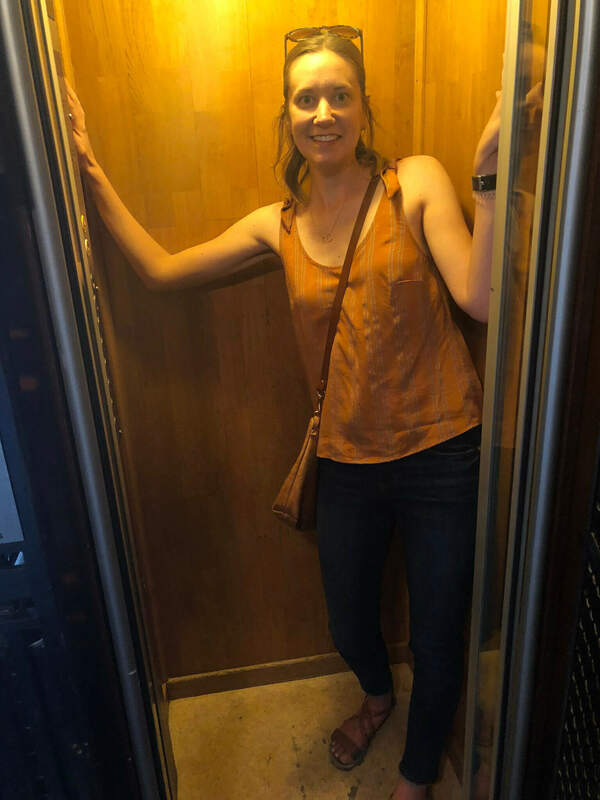 If you do find an elevator, it’ll likely be big enough for a person or two (see below). The second advantage is that lodging is likely smaller than you’re used to and packing small will keep you from filling up your living quarters with stuff. If you pack giant suitcases, you’ll end up taking up a big chunk of your living space with luggage and your stay will be much less enjoyable. If you’ll be driving through Europe, you’ll need to understand the Vignettes needed for each of the countries you are traveling to/through. This can be complicated. Vignettes are little stickers that go on the windshield of a car in order to allow you to drive on the roads in a particular country. Countries have different rules and some don’t have them at all. You can purchase these at the border or at service stations near the border. Here’s the best guide I could find about vignettes and the countries that require them. I’m sure I missed a few crucial tips in this list. Do you have advice for prospective travelers? Please share in the comments below!